Booking a trip to the Caribbean seems simple enough. The islands are right around the corner. Most don't have visa requirements. All you need to do is jump on a plane, hail a taxi, beach yourself on a patch of sand, and wait for people to start fanning you. But as you're happily, blissfully letting your guard down, you have to be prepared for a totally foreign experience. Even in American territories like Puerto Rico and the Virgin Islands, the rules are different when you get to the Caribbean. First-time visitors naturally make a lot of mistakes, and even when you've been going for as many years as I have, you keep finding more to make. In hopes that you don't, I'll share with you the stuff you need to do (and not do) to make the most of your trip. Even if you're not so big on stuff like "history," you should know that the Caribbean was colonized by the Spanish, French, English, Dutch, and a few other countries over the better part of the past millennium. Accordingly, people do not speak the same language in every country, and the dialects of the languages they speak are completely different. Take the British West Indies, where English is the dominant language. The accents and dialects locals use can be impossible to understand (Shottas, a Jamaican cult-classic film, requires subtitles). 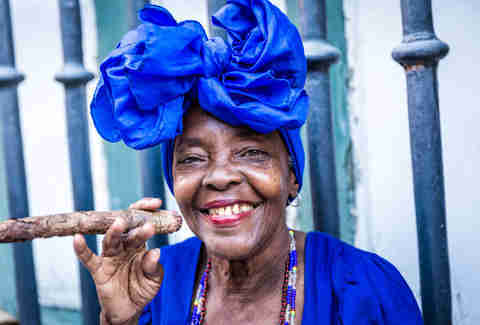 The Spanish you'll hear in Cuba can be incomprehensible to Dominicans and Puerto Ricans. Dutch is handy in the Leeward Antilles, but the common language of Aruba is Papiamento. And you'll hear varying versions of French patois in Haiti, St. Lucia, Dominica, Martinique, and other former French territories. 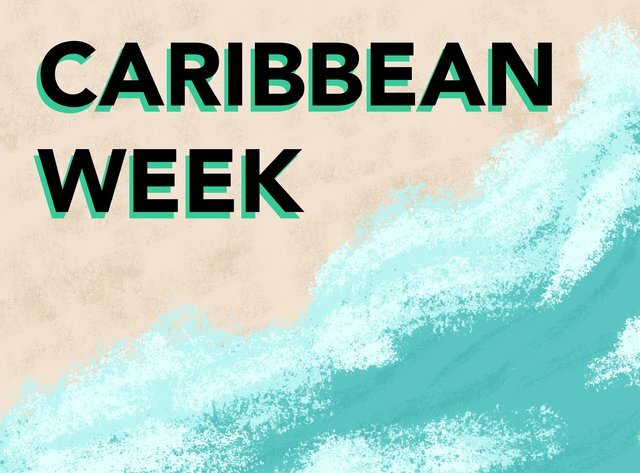 Lucky for you, many Caribbean people speak three or four languages. But don't assume they will speak English (or, inversely, that someone doesn't understand what you're saying perfectly well). Perhaps your first trip to the Caribbean was off the side of a cruise ship in Freeport, and you assume the entire Caribbean is flat marshlands and straw markets. Or maybe you went to the Dominican Republic and figured the whole region was a more humid Hawaii. But the more you travel in the Caribbean, the more you realize no two islands are alike, even within the same country or territory. 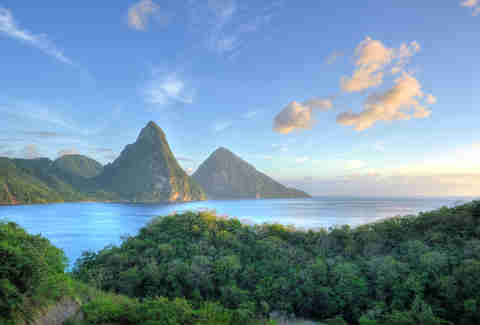 Some are rough, mountainous jungle islands like Dominica or St. Lucia. Some are densely populated islands with large cities like the DR or Cuba. Others are turquoise water and white beach paradises like Turks and Caicos. The geography, culture, and people of each island are totally different, and your experience will be new every time you get a new stamp on your passport. So don't sell the region short by saying "seen one, seen 'em all." 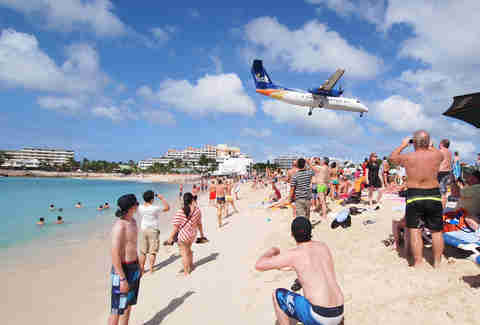 Caribbean people live on islands, and as such are never in much of a hurry to do anything. (You're surrounded by ocean, so where you gonna go?) It's folly to expect waiters to attend to your table quickly, or bartenders to hustle to get you another Kalik, or hotel staff to go faster than a saunter. If you're a high-strung American accustomed to Starbucks whipping up your chai latte in two minutes, you might find the Caribbean to be a bit frustrating. Also, time is a relative term in the Caribbean. If someone tells you they'll be there at 1pm, that could legitimately mean any time between 1-3. The only time that's kept strictly here is quitting time, so when a shop says it closes at 5, don't show up at 5:02 expecting anyone to be there. 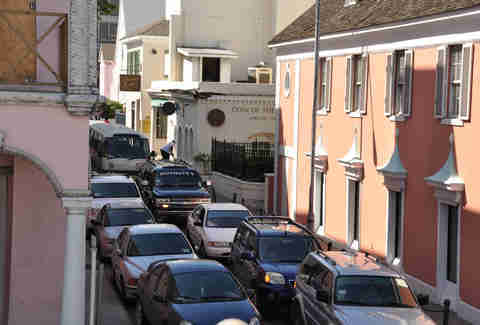 First off, most of the Caribbean drives on the left side of the road. Which will, at best, have you turning on your windshield wipers every time you try and use the turn signal. At worst, it'll have you in a head-on collision as you turn into an exit. Even if you do master left-side driving, you still won't master how to drive on the islands. Many islands have no stoplights, which means you'll need to learn to navigate roundabouts that flow clockwise. You'll also find that traffic laws in the Caribbean are mere suggestions, and things like yields and stopping at stop signs are a coin flip. On the mountainous islands, you'll find yourself traversing steep hills on single-lane roads that can best be described as "semi-paved," and when you encounter a car coming down a hairpin turn as you go up, a rush of panic will set in. It's a great way to bring a ton of anxiety into what's supposed to be a relaxing vacation, so do yourself a favor and hire a driver when you need to go places. And in case you were wondering, no, there is no Uber in most of the Caribbean. For whatever reason, Americans presume carrying cash is obsolete, as if every business in the world is equipped with high-speed internet and access to PayPal. Not on the islands, homie. Yes, your bigger resorts, hotels, and restaurants all take cards. But when you want to stop into that funky roadside bar for a Painkiller, or eat some conch a local just reeled out of the ocean, those guys don't exactly have Squares on their iPads. What's more, not every country in the Caribbean is equipped to take US dollars. So always check ahead on local currency, and grab a couple hundred dollars' worth before you arrive. Many of the islands run on tips, too, and if you're not topping off your bartenders, servers, guides, and porters, that Caribbean level of service will deteriorate accordingly. LIAT, the island-hopping airline of choice in the Caribbean, is colloquially said to stand for "Leaves Island Any Time." Basically, its schedules are more rough estimates. Don't expect your flight to go off as planned, and do leave plenty of time for connections if you have them. To avoid the lost vacation time caused by lax flight scheduling, do your best to fly direct and limit the flights you take on local airlines. Even if it costs a little more. Seriously, you're in the Caribbean to relax and unwind. So worrying about Wi-Fi should be right below dinner condiments on your list of concerns. However, if you just CAN'T leave the office at the office, don't expect to be able to log on anytime you want. Sure, in some places like the Cayman Islands, the USVI and the Dominican Republic, you can find restaurants and coffee shops with Wi-Fi. But on some less developed islands, your hotel might be your only point of connectivity unless you have an international data plan for your phone. Even then, the islands are primarily covered by two providers: Lime and Flow. They work well enough, but on mountainous islands -- especially away from population centers -- you'll be out of range on a good portion of the island. Just relax, take a couple vacation days, and don't spend your whole trip searching for a signal. They invented #latergram for a reason. "You take the road down a bit, go up a hill, then around a corner. You gonna see a goat there. Go past the goat to the red car and make a left. Go three houses down to the mailbox and make a right. Then just before you get to the old sailboat, you'll see a driveway on the left. That’s the spot." If you can decipher such directions, then this might not be so hard for you. If not, understand driving here is tough, and the GPS on your phone might not be in range. So, remember that advice about taking taxis? Use it. If you're flying a nonstop from somewhere in the US this isn't such a big mistake. If the words "LIAT" or "Seaborne" appear anywhere on your itinerary, make sure you've got a toothbrush and a change of clothes in your carry-on. Because your bag will be two days behind you. Caribbean airlines aren't careless with your luggage, per se. It's just that such small planes have surprisingly low weight restrictions. Even if you literally see your bag on the tarmac as you board your plane, there is no guarantee it's getting on with you. So carry on everything as you leave home and just resign yourself to buying sunscreen when you arrive. Caribbean islanders are, by and large, the world's friendliest people. Do they legitimately love American tourists? Hard to say, but their laid-back demeanor, broad smiles, and hearty laughs make for some of the best conversations you'll ever have with locals while traveling abroad. Yes, much of the Caribbean is made up of developing nations, but aside from a handful of neighborhoods in the larger cities, the islands are very safe. And not taking the time to get to know the people here is missing out on one of the best parts of visiting. We get it. Sometimes on a Caribbean vacation all you want to do is flop on a white sandy beach and drink sweet, watered-down all-inclusive drinks. And there's nothing wrong with that. But you can also do that literally anywhere in Florida, so if you're plunking down the money to go to the islands, see some more of them. The big mountainous islands in the Lesser Antilles are full of rugged wilderness the likes of which you won't see stateside. Bigger islands like the DR, Jamaica, Puerto Rico, and Cuba have thriving cities where you can explore a new culture before returning to the comfort of your resort. Even the flatter, less cosmopolitan islands like those in the Cayman Islands and Turks and Caicos have cool stuff to see outside the resorts. Whether it's a seaside seafood shack or a little-known live music venue, do a little research on the island before you go, and make a point to dip into it before you leave. You'll find that'll be the part of your trip you talk about most when you get back home, all tanned and relaxed. Matt Meltzer is a staff writer with Thrillist who still gets frustrated by island time. Follow him on Instagram @meltrez1.